I recently had it brought to my attention (thank you sir) that the link that was in my last post about NaNoNotes had a bad link for downloading purposes. 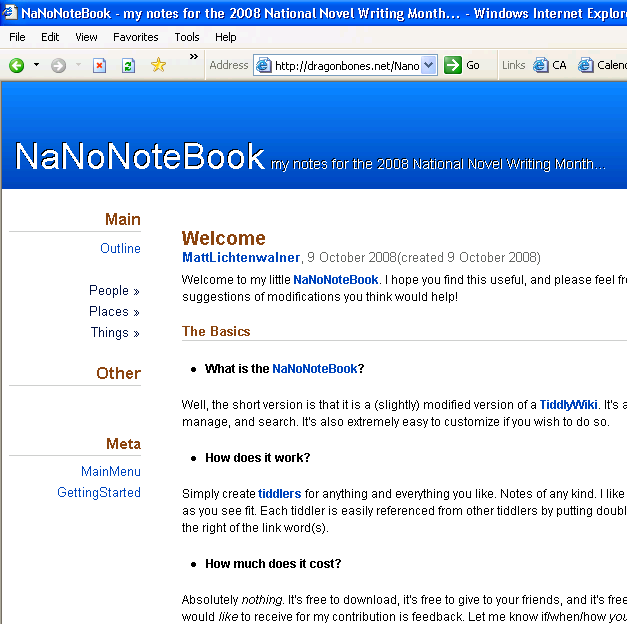 I’ve since fixed that error and now you can just right click here to save link as and get your own copy of the NaNoNotes TiddlyWiki. As before, I welcome any commentary you might have on the notebook. If there’s a feature you’d like to see, please let me know and I’ll see what I can do!